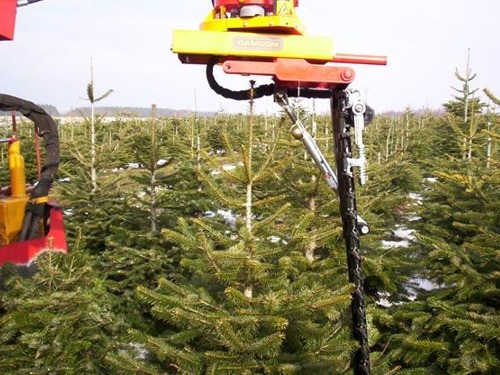 Conic pruning is mainly performed by Christmas trees, conifers and boxwood. The maximum height of the plants is allowed to be 80 till 300 cm. Cones can be cut under an angle of 0-30°. The pruning cycle is automatically, the pruning bar makes a movement of 400° after which it turns 40° back in the starting position. Optionally the machine can be provided with automatic levelling in 2 directions and a hydraulic adjustable cutting angle. The second way of pruning is cylindrical pruning, the maximum height of the plants is allowed to be 80 till 300 cm again (depending on the length of the pruning bar). 75 cm is the maximum diameter by cylindrical pruning. 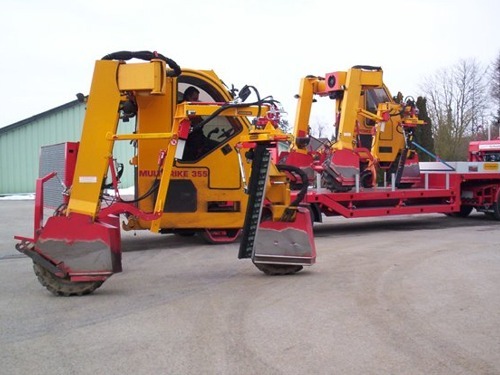 The last way of pruning with our form cutting machine is pruning of hedges. And again a maximum height of 80 till 300 cm is allowed (depending on the length of the pruning bar). 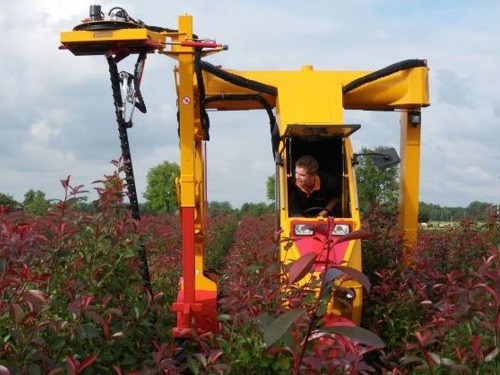 Hedge pruning is not included in the basic machine.